Use any Font installed on your PC including Chinese, Japanese, Arabic etc, with Unicode-enabled objects. Now you can create screens for your overseas market/ operators. Program one object to your liking (Color, size, etc), then use these features to pick the programmed style and apply it to any number of similar objects in one click. Easily program multiple language strings in objects. Export all text strings to a spreadsheet; Have a translator fill-in the corresponding text in other language(s); Import the spreadsheet back in the project to make it multi-lingual. Touch objects are no more constrained to touch cells; Tweak touch objects for creating aesthetically pleasing screen designs. Edit images in any of the bit map objects from within the editor, e.g. modify selected pixels, delete pixels, add pixels, etc. Now import JPEG, ICO, and GIF images (for example company logos, product images readily available on your company's website) in the Bitmap Objects. A convenient feature during screen development eliminating time-consuming tag lookup or the need to remember tag-object associations. A debug tool, particularly useful, if your PLC has only one Port with UT Toouch panel connected to it; Monitor PLC tag values on your PC through the panel. 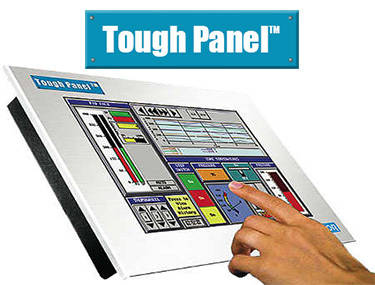 A feature for distributing and automatically upgrading screen design projects for Uticor Touchpanels. OEMs can save cost and time on field service calls while protecting their design projects by using this feature. Activate multiple touch objects with a single touch, and place objects in a heavily-populated screen without worrying few pixel overlap between objects.